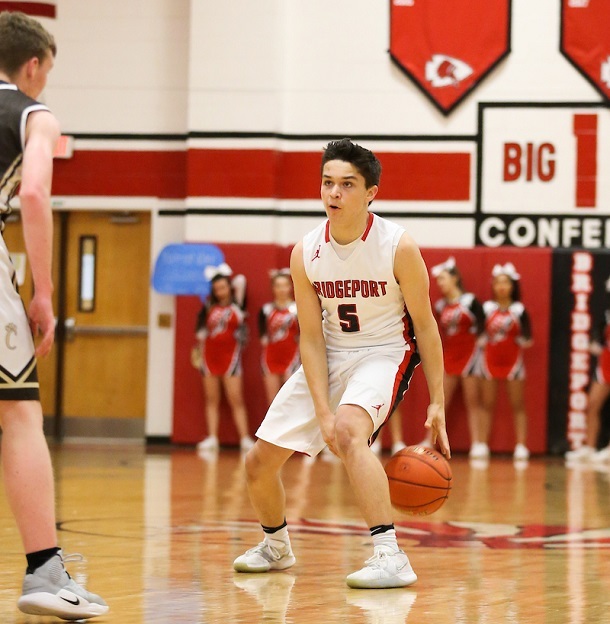 Bridgeport Coach Mike Robey has never spoke about anything but the next game – no matter who was showing up next on the schedule. Next on the schedule is MetroNews Class AA No. 1-ranked Fairmont Senior. This evening at Bridgeport High School, the 15-2 and No. 5-ranked Tribe will look to be the second team to take down the 16-1 Polar Bears this year. Tipoff is set for 7:30 p.m.
“I’m expecting the top-ranked team to come rolling into Bridgeport ready to play. They just had a big win over East Fairmont and watched t hem play (Robert C.) Byrd and it looks like they’re focused after Byrd played them tight,” said Robey. “They’re long. They’re athletic. They’re quick and they pressure the ball and crash the boards. They don’t have a whole lot of weaknesses. The Indians will bring a strong starting five that has either been or near double figures in scoring average the entire season. The group of Jake Bowen, Tanner Bifano, Blake Bowers, Nick Stalnaker and John Ross Mazza will lineup looking to knock off the Bears. Ryan Goff, Austin Massey and Aaron Randolph are the top reserves. Fairmont’s roster is loaded, as Robey said, with talent and size. The Polar Bears will likely counter with a starting five of Zyon Dobbs, Jalen Bridges, Dasilas Jones, Trey Washenitz and Patrick Laxton. 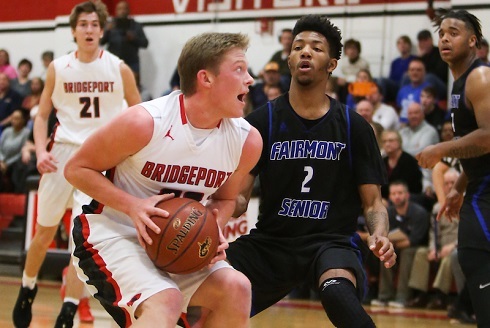 Bridgeport comes into the contest on a five-game winning streak. The last of those wins came Thursday as BHS toppled Buckhannon-Upshur by a 65-54 score without the services of Stalnaker who was sitting out with what is described as a minor injury. The Tribe broke managed to get themselves some breathing room thanks to a strong third quarter. The Indians trailed 13-10 after one period before going back up at halftime by a 29-27 score. In the third segment, Bridgeport outscored Buckhannon by eight points. That put the hosts up 50-40 going into the final eight minutes and the Indians managed to hold off the Buccaneers the rest of the way although B-U did cut the lead to three in the fourth on one occasion. Bowers and Mazza led the way with 17 points each. Bowen and Bifano had 11 and 10 points, respectively, while Goff added eight in another well-rounded effort. Bowen led the team with 12 rebounds, while Bifano grabbed 10. “I was really pleased with our effort considering we’re facing adversity right off the bat without Nick,” said Robey. “I thought Ryan Goff was outstanding running our offense as we moved Blake to the two and Ryan quarterbacked the offense really well. The win came on the heels of a victory that may have seemed a bit improbable. 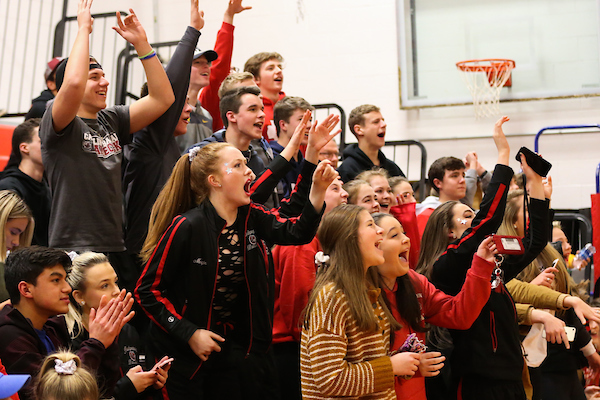 The Tribe trailed 44-40 and the Cougars had the ball with under a minute to play when the rally began in what turned into 51-47 overtime win Tuesday. The rally started when Stalnaker was fouled with 49 seconds left. Stalnaker calmly drilled a pair of free throws to bring the Indians to 44-42. 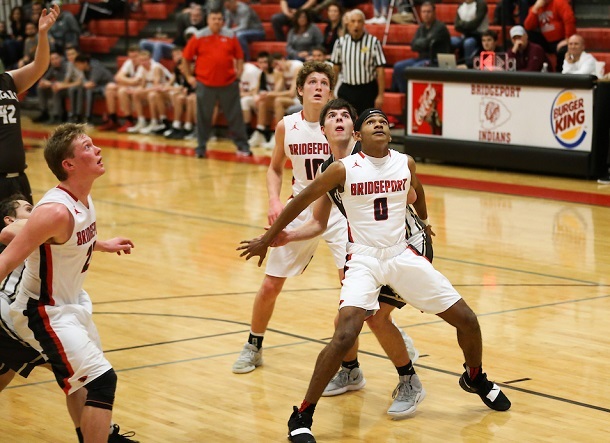 Bridgeport fouled quickly and watched Lincoln miss the one and one only to see the Cougars grab the offensive rebound and force another trip to the line. This time, Lincoln hit the first and missed the second to lead 45-42 and make it a one possession game. BHS managed to work the ball around to Mazza following a timeout and Mazza delivered. The junior banked home a long-range 3-point field goal just off the left side of the key that would eventually force overtime. The Indians, who battled from behind for large portions of the game, never trailed in overtime. Mazza, who nailed the big shot, paced the team with 14 points. Bowen had 13 and Stalnaker added 11. Robey said the difference in the overtime was jumping out fast. He said once they got the lead the team’s demeanor changed. 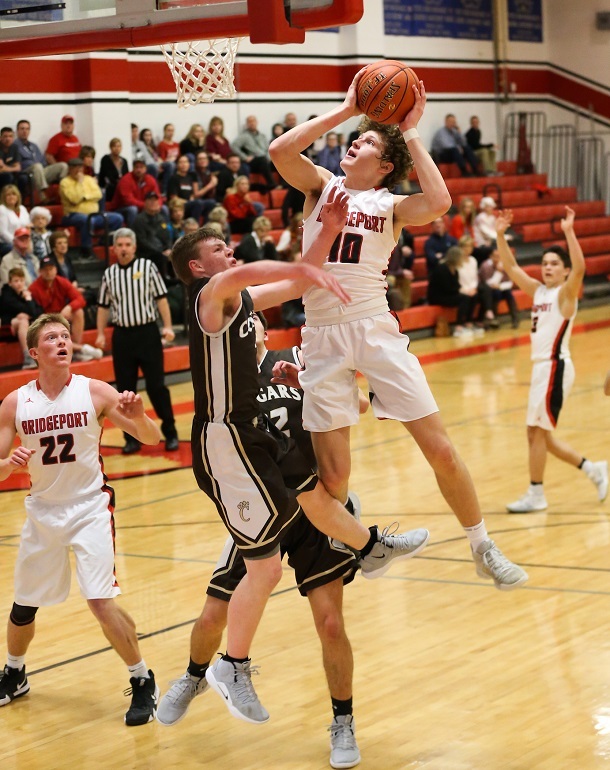 Bridgeport is back in action Tuesday with a home game against Lewis County. On Thursday, Bridgeport will visit East Fairmont. Both games are set for 7:30 p.m. The Indians will host Robert C. Byrd next Saturday, Feb. 16. That game has been moved to a 1 p.m. start with the junior varsity contest tipping at 11:15 a.m.